A YEAR ago today David Larkin should have died. 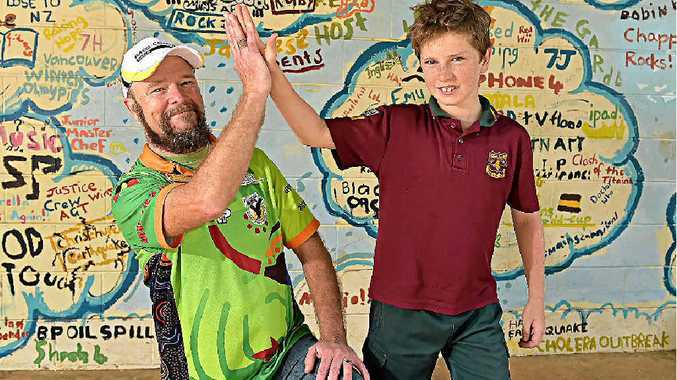 It was with mixed emotions the Buderim Mountain State School chaplain recalled the day he suffered an aortic aneurism where his aortic valve "split in half, taking a coronary artery with it". Emergency surgery in Brisbane's Prince Charles Hospital found a 1.5cm tear in the artery. Mr Larkin said people who have had just a 5mm tear have not lived to tell the tale. "The surgeon (Bruce Thompson) said I had about 15 minutes left to live. I was dying on the table," Mr Larkin said. "I still get emotional about it." Mr Larkin said it felt "weird" to think he might not have been here today. "I feel both kind of like jumping up and down for joy and another part of me wants to be very quiet and thankful and reflectful," he said. "I guess if I could sum it up in a word it would be grateful." The road back from the brink has not been without its challenges. Mr Larkin spent the first three months undergoing intensive rehabilitation for his heart, lungs and the injury to his sternum as a result of the seven hours of emergency surgery. 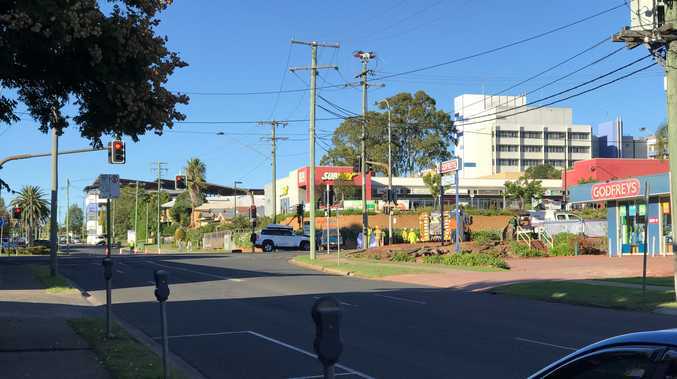 "I went from only being able to walk 10 to 20 metres to being able to walk from Moffat to the wreck at Dicky Beach by the middle of October. "But I must have watched about eight full TV series as there was a lot of sitting around, reading and talking in those early days." With the assistance of a mechanical valve and the unwavering support of his wife Adrienne, Mr Larkin was able to return to his role as "Chappy Dave" at Buderim at the start of school this year. "I was really nervous on that first day to be honest," he said. "I was pretty scared knowing that my capacity had changed and I wasn't able to be the person that I had been able to be, I was a lot slower and a lot shakier. "But the school embraced me and loved me for where I was at and I found I was able to relate to the kids on another level." His near-death experience has changed Mr Larkin's perspective on the world and he has not taken a single day for granted. "You need to have those conversations with loved ones and prioritise what means the most to you," he said. "You need to live each day like it's your last and get the maximum out of it." Mr Larkin said he would always be thankful to his boys, who called the ambulance after he felt a searing pain in his neck, head and chest, and to the RACQ CareFlight Rescue Helicopter crew who kept Mr Larkin alive on the emergency flight to Brisbane.